A few months ago, Jack and I were in Dallas at a popsicle shop that had this dairy-free avocado lime pop that I went crazy for. I’ve been meaning to recreate it all summer and, well, summer isn’t over yet… so here we go! Only I recreated it in smoothie form because smoothies are easier to make if you don’t have a popsicle mold… or if your popsicle mold is in storage like mine is. 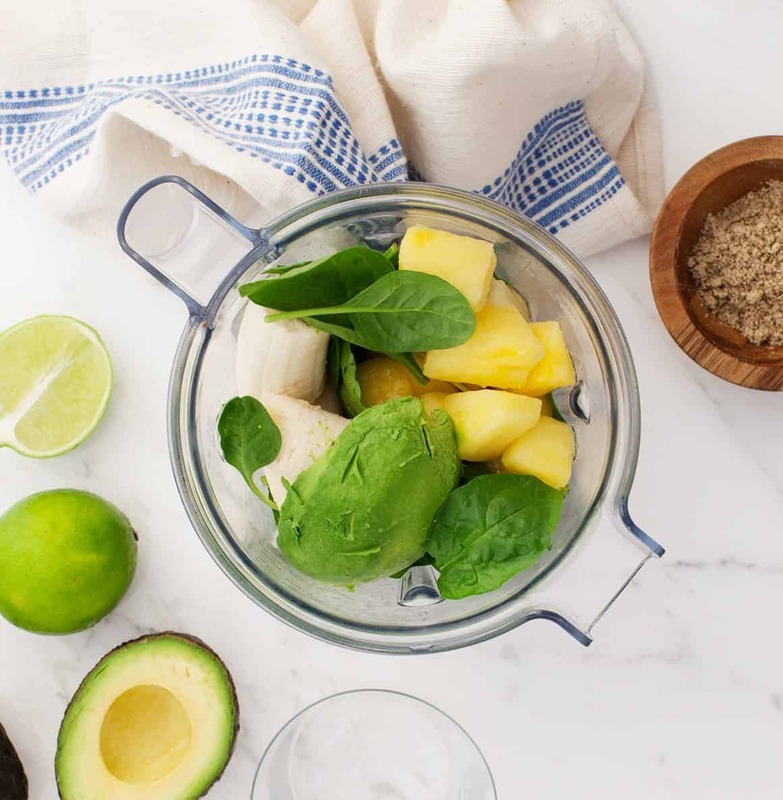 I promise that this does not taste like guacamole… it’s a creamy almost sorbet-like smoothie that contains a healthy amount of healthy fats. 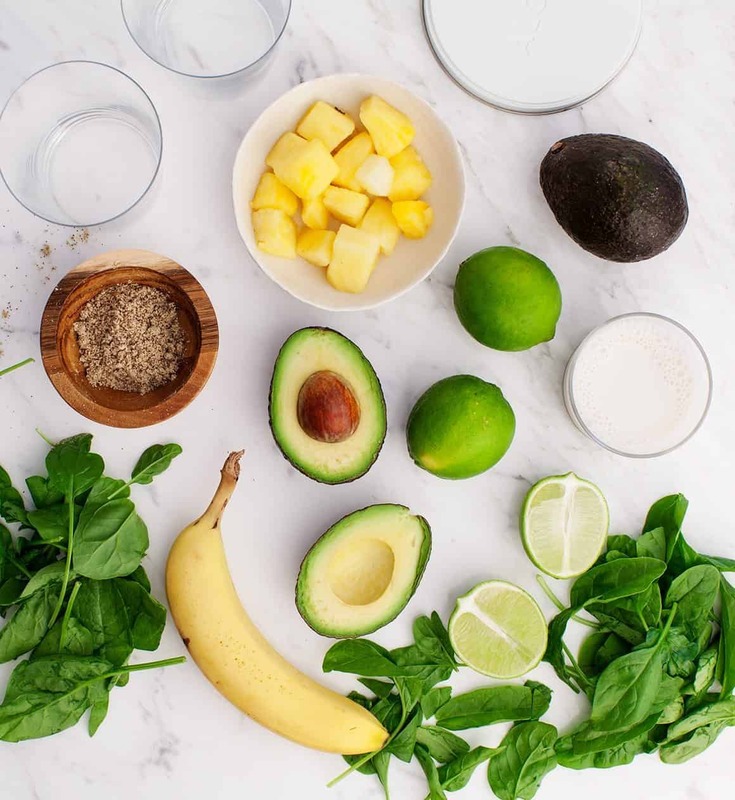 I enjoy it in the morning or mid-afternoon when I need a good boost of energy… although I think it would also be tasty as a dessert (if made extra thick) with some chocolate sauce or cacao nibs on top! 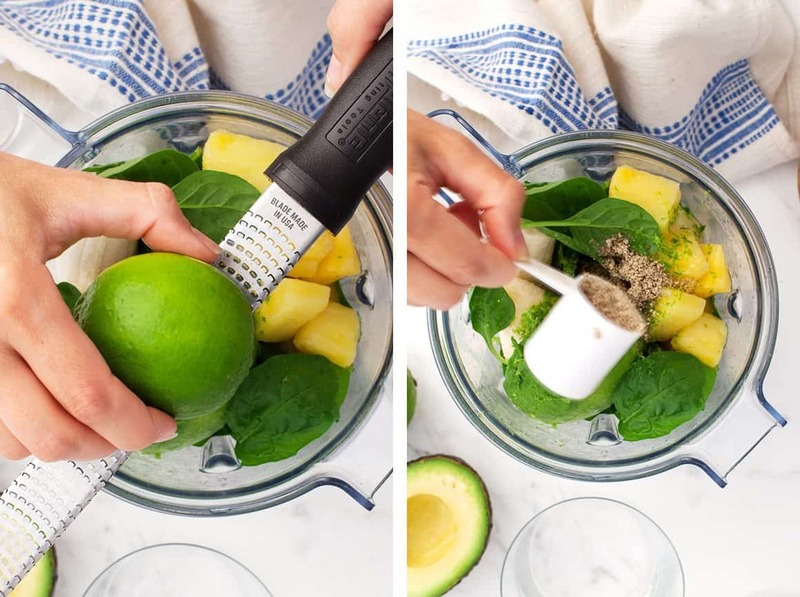 The avocado creates a rich & creamy base and the lime peps it up. For sweetness, I added frozen pineapple, banana (also best frozen), and a bit of maple syrup. 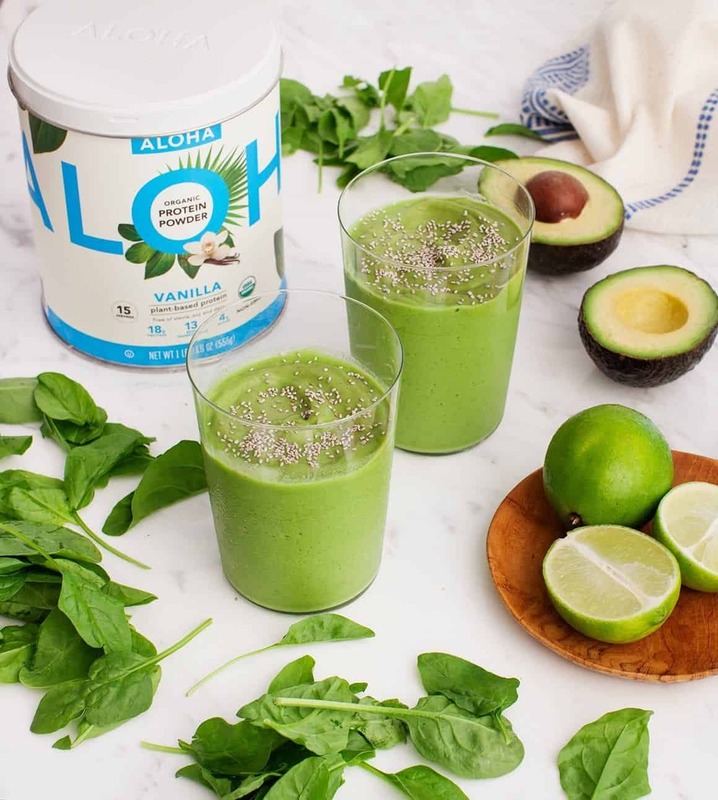 For a green punch I added big handfuls of spinach, and for an extra boost I added a few scoops of Aloha Vanilla Protein Powder. I have to admit that I used to hate protein powders. Most that I’d tried were chalky and had a funny taste that I didn’t want ruining my smoothies. This Aloha Vanilla Plant-Based Protein is the opposite. It blends in seamlessly, the texture is great, and there is no aftertaste. 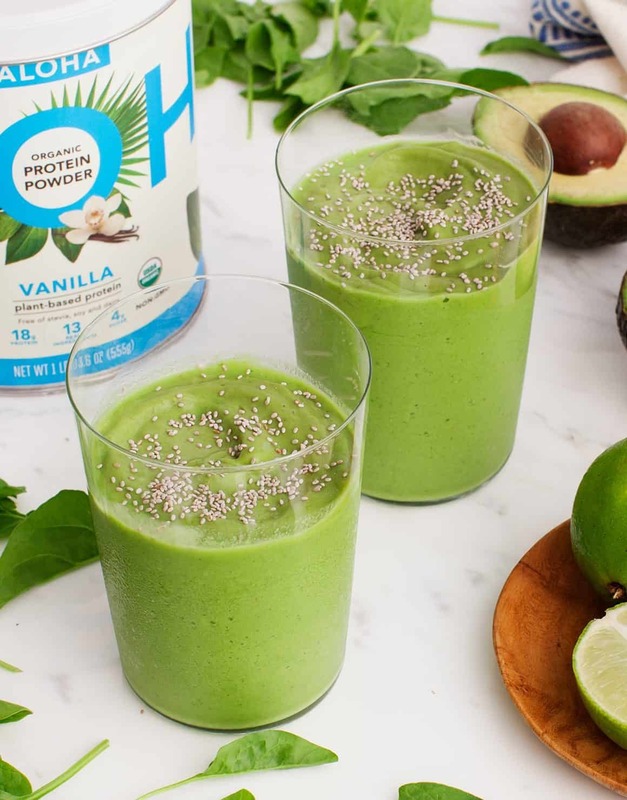 The vanilla flavor is mild and it has a list of really great organic sustainably-sourced ingredients like pea protein, pumpkin seed protein, and hemp seed protein. It’s packed with tons of omega 3’s and whopping 18 grams of protein per 2 scoops! This post was created in partnership with Aloha. Thank you for supporting the sponsors that keep us cooking!